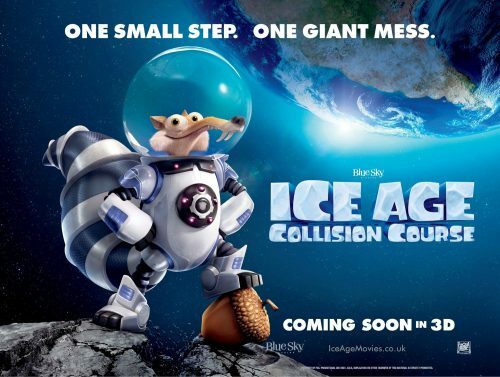 Scrat and The Herd are back in Ice Age Collision Course. More precisely, in the new poster and trailer. Yet another one showing that Scrat is the hero, or is it the villain of the peace? It’s hard to tell. However, it’s up to Sid, Manny, Diego and the rest to help save the world, and themselves! A question that comes from the poster, is wondering if that’s the same space ship that we saw long ago in the first film. It may just be!